Michael Maize is starring in Gotham season 4 this fall. Michael gained recognition from his recurring role in USA Network’s Mr. Robot. He has also been featured in hit television shows, including CBS’s Blue Bloods, Hawaii Five-0, NBC’s The Blacklist, HBO’s True Blood, and films such as Saving Lincoln and National Treasure 2: Book of Secrets. Michael is currently working alongside Joe Manganiello and Sofia Vergara in the film, Stano, (release date TBD 2018) and is additionally set to star in SyFy’s forthcoming series Happy on December 6th, 2017. We chatted with him about his current television and film work. How did you end up with a role on Gotham? I have auditioned for Gotham a few times but the right fit had not presented itself yet. Bowling Miscia is the casting office for Gotham. They had already cast me in Blue Bloods and Mr. Robot at the time, so they were familiar with my work. I recorded the audition myself at my house in Los Angeles, and then sent it into casting through my agents. The rest is magic! Tell us more about your character Grady. Can you give us any dirt on your character’s relationship to Jonathan Crane AKA the Scarecrow? He is connected to Jonathan Crane’s past. Jonathan Crane has been at the Gotham Asylum, and this is where Grady used to work as a guard. How much will we see you during the rest of season 4? That is yet to be determined! 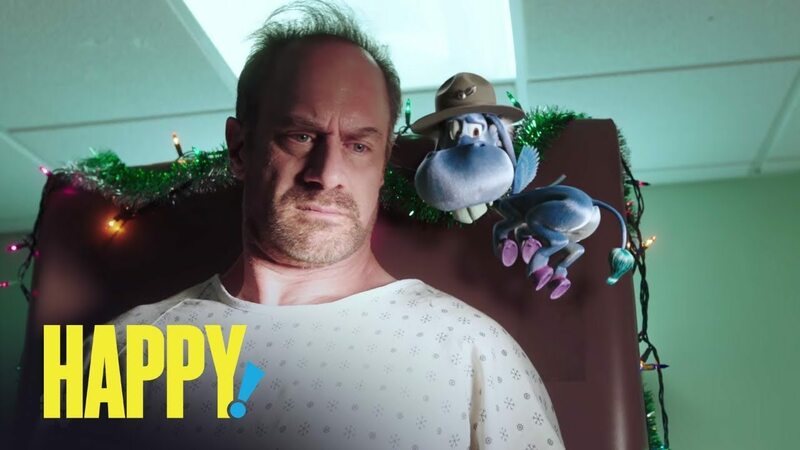 Describe your character Le Dic on Happy. He is a ruthless, dynamic, sinister arms dealer with a wicked sense of humor. He and Nick Sax (Chris Meloni’s character) have a deep past. What is the show about and how does your character fit into the series? In the graphic novel, Happy, you see that Nick Sax comes to Le Dic to try and win some much-needed money at his poker table. Sax gets help from his new friend Happy (an animated blue horse) in trying to win against Le Dic and his table of degenerate henchmen. The TV show sticks closely to the graphic novel in terms of plot and style; but the specifics of how close are hush hush right now. You will find out just how close when you tune in this December! Tell us about working with Chris Meloni. Any funny set stories? Chris is amazing. He is professional and focused; yet crazy fun at the same time. He is a very intelligent actor, and it was awesome to be contained in the same space of the scene with him. There was a lot of great action and stunt work in our scenes. I loved witnessing Chris be an excited “kid” while playing within the action. Talk about your character Tommy on Stano. 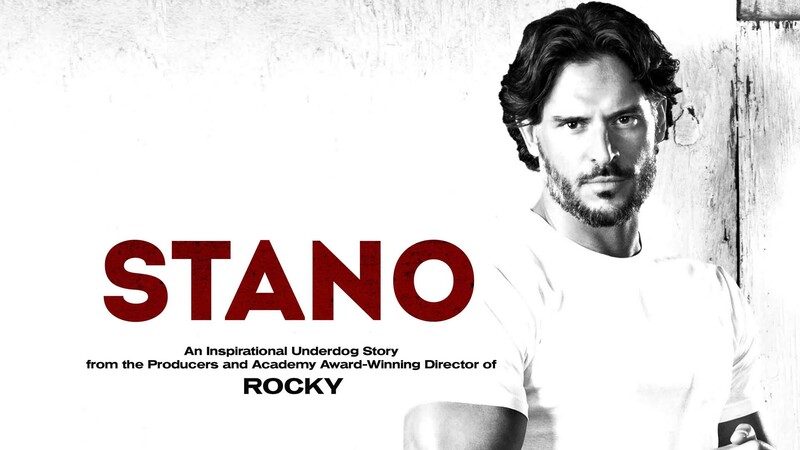 The film is about a guy named Sonny, played by Joe Manganiello. He had his whole life in front of him, set to be a future Yankees player at the age of 18, as well as having the girlfriend of his dreams, played by Sofia Vergara. He got in a bar fight and accidentally killed a guy which sent him to jail for 17 years. Once out, he is set to make his life better and starts coaching for the minors. I play Tommy, the brother of the victim, who is hell bent on getting in the way of any success happening for Sonny. What can you tell us about the plot of the movie? The film follows a man who returns to the Bronx after serving 17 years in prison for a violent mistake he made as a kid that ultimately robbed him of a professional baseball career and the love of his life. Did you and Joe Manganiello swap True Blood stories? Ha! No… but, Joe was extremely cool and personable. I play one of the main antagonists of the film, and through the intense drama of our scenes, we developed a great rapport on set. He had considerable ease with his technique, which allowed us to play off of each other and reach some great heights. Joe is calm, cool and collected while still having great dedication and focus to his craft.